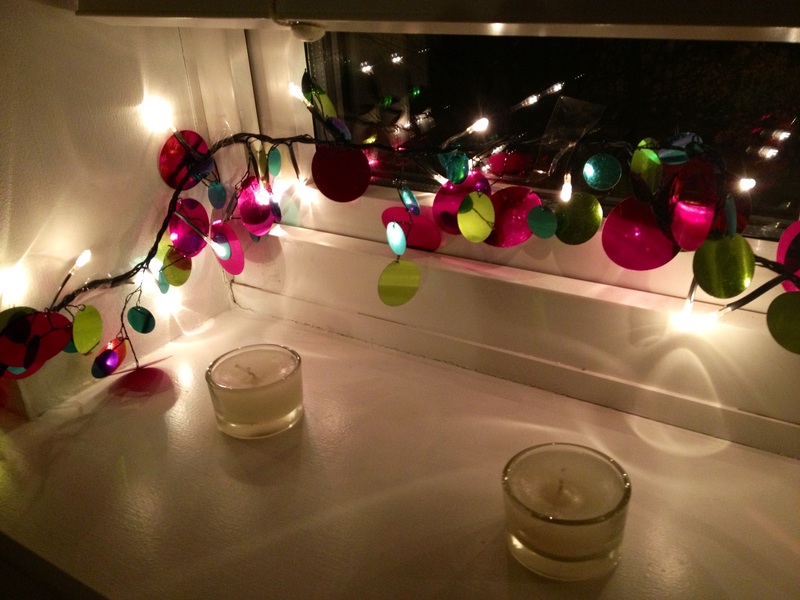 First things first, tinsel is so last decade so put it away then read on! 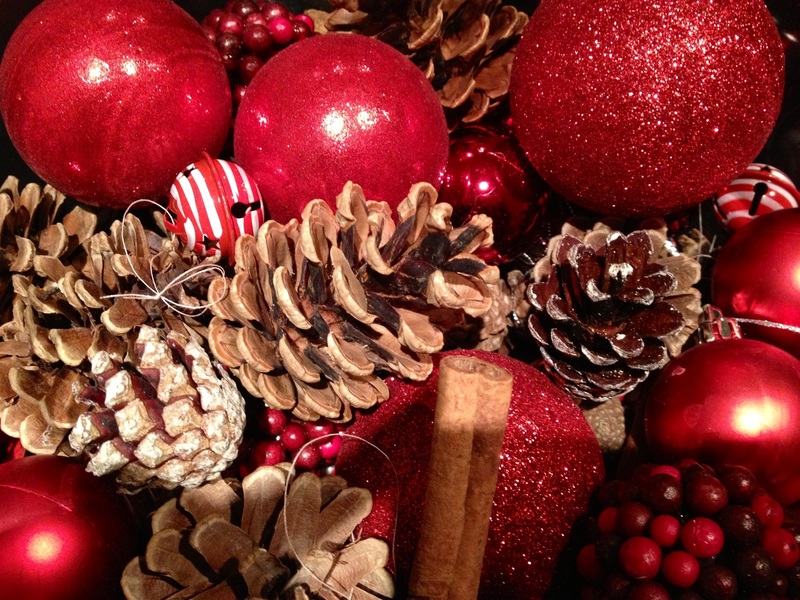 Pine cones and cinnamon sticks give a wonderful winter feeling to most colour themes and really compliment red and more traiditional looks. 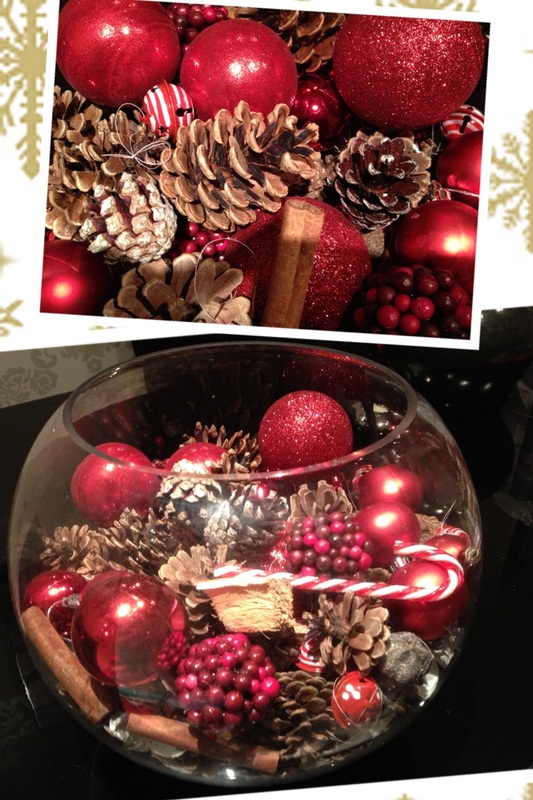 I have pine cones and cinnamon sticks in a fish bowl vase from Autumn onwards and simply add Christmas baubles in December. 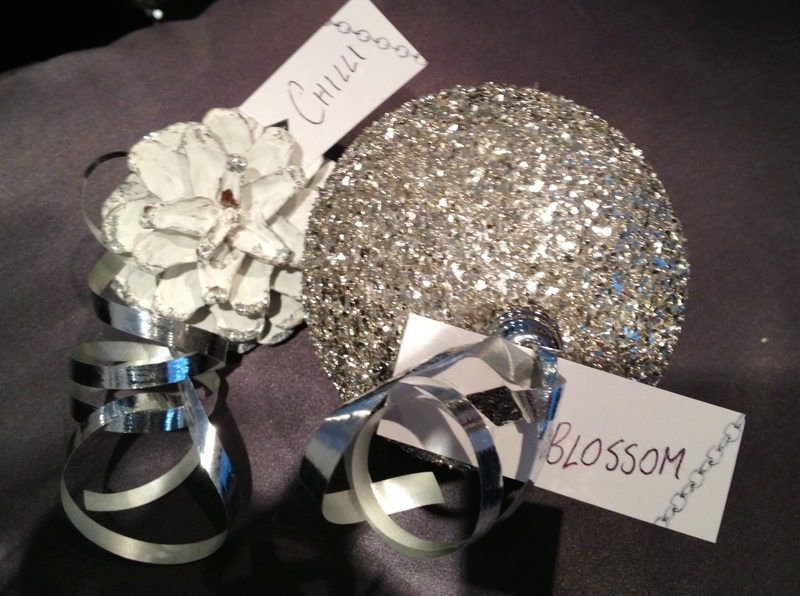 Wish trees are a popular trend for weddings but also great for Christmas, they can act as a modern Christmas tree or even compliment your traditional tree as a centre piece for your Christmas table. 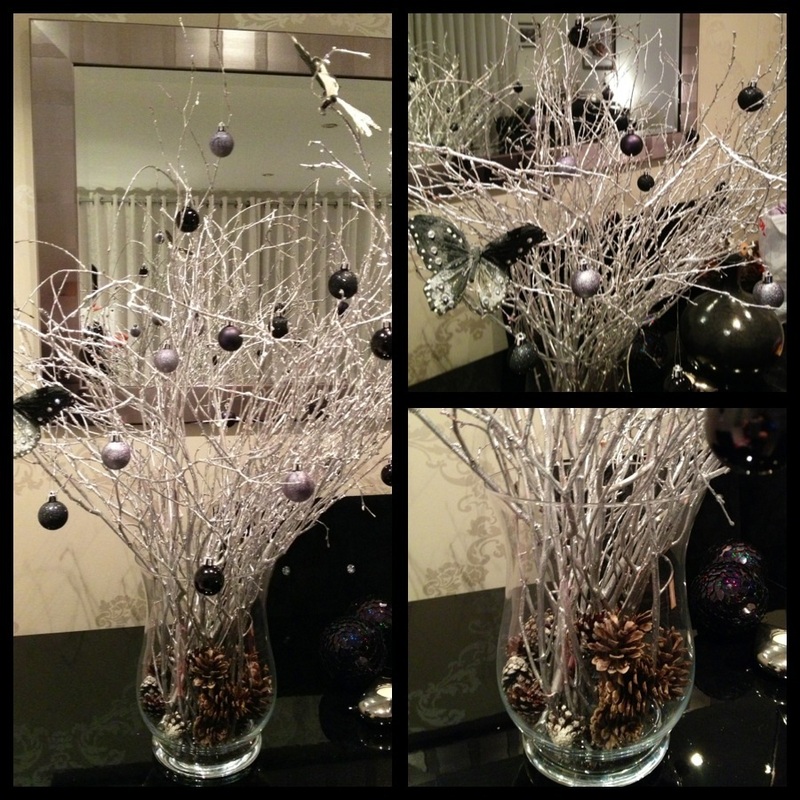 For a home-made wish tree, simply gather twigs and arrange them in a vase. 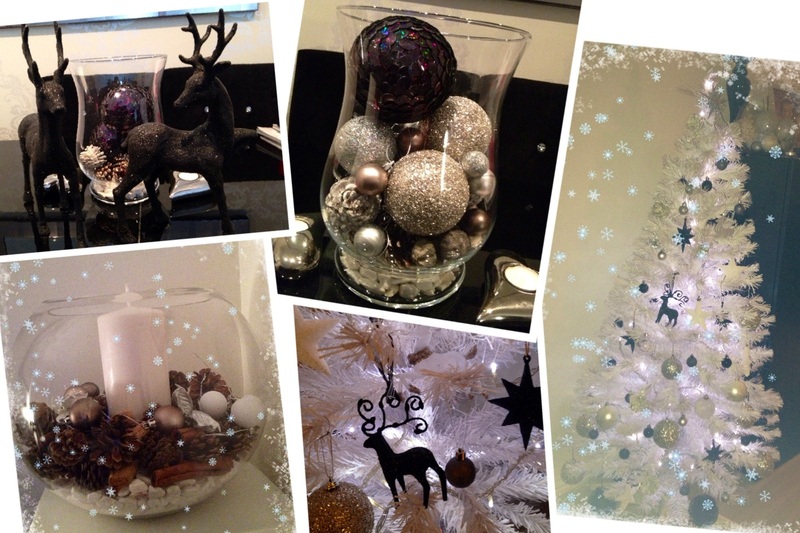 I sprayed the twigs with silver glitter spray for some added sparkle, but rustic brown twigs look just as good. Adding pine cones to the bottom of your vase adds an extra touch to the base rather than looking empty. Then decorate as you would with a traditional tree, mind the decorations aren’t too over bearing as the twig branches will bend. One final festive touch I must share with you for the big day, either for unique gift tag ideas or table seating arrangements. Christmas Gift Guide for Kids 2015!